SUN SECURE Fluide SPF50+ is a dry touch lotion that leaves a matt, non-greasy and non-sticky finish on the skin. SUN SECURE Après-soleil is the essential skin rescue for the whole family: babies, children, adults. SUN SECURE Fluide SPF50+ is a dry touch lotion that leaves a matt, non-greasy and non-sticky finish on the skin. Its lightweight texture is instantly absorbed into the skin and particularly suitable for normal to combination skin. It is water, sweat, and rub-resistant for optimal protection. This face care is suitable for the sun-hypersensitive skin of the whole family: babies, children, adults. Its delicate summery fragrance and lightweight texture will be loved by the whole family. SUN SECURE Après-soleil is the essential skin rescue for the whole family: babies, children, adults. SUN SECURE Après-soleil provides soothing, hydrating and repairing care suitable for the overheated skin of the whole family: babies, children, adults. It can be applied to the face and body. Its unique, creamy, micro-aerated texture melts into the skin and delivers an immediate sensation of freshness. SUN SECURE Après-soleil is a sensorial product that rehydrates and soothes sensations of overheating. Its ultra-fine pearlescent particles and addictive summery fragrance leave the skin satiny-soft and enhance the tan. Its non-greasy and non-sticky finish allows you to dress quickly. You won't ever want to be without it! 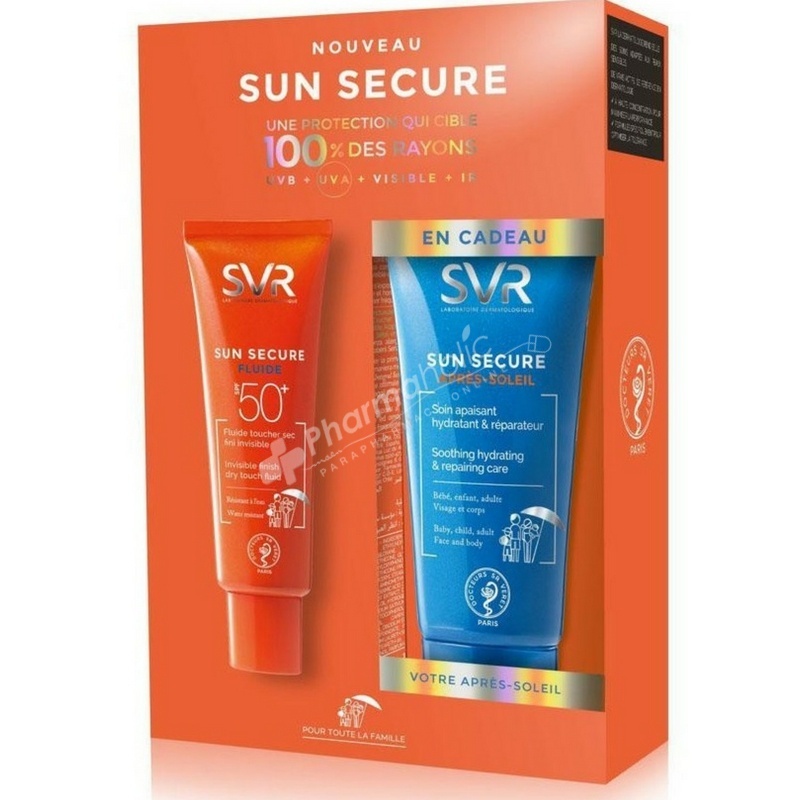 SUN SECURE Fluide SPF50+: Before exposure to the sun, evenly apply an adequate amount to cover the face. Re-apply regularly. Read the leaflet carefully. SUN SECURE Après-soleil : Apply to clean, dry skin after exposure.